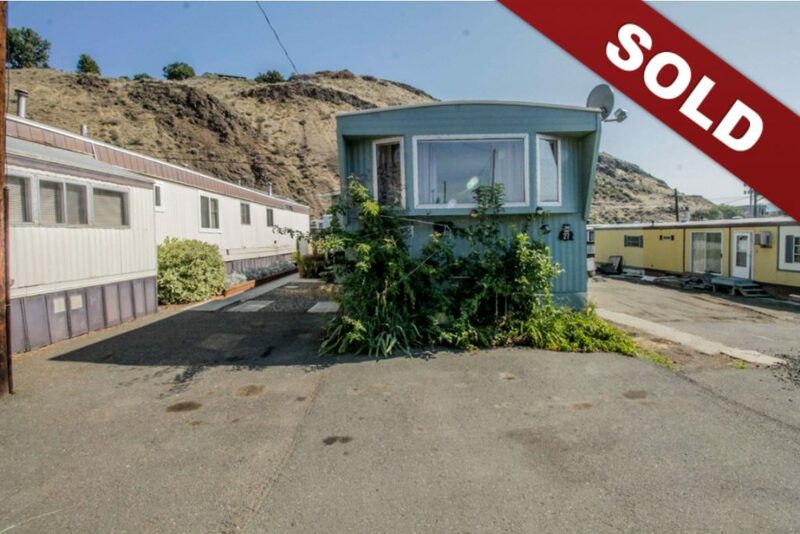 New Listing: 27-1440 Ord Road, Brocklehurst, Kamloops, BC $49,000. Lovely 2 bedroom 1 bathroom home located in Sunnyside Trailer Park. Excellent home for a downsizer or first time homebuyer. Bright and open concept living room and kitchen with white cabinetry and appliances. Plenty of storage space. Easy maintenance yard with garden and pad for BBQ and table. New shed and underground sprinklers for the gardening area, Bell satellite dish and parking for 3 vehicles. Minutes to all amenities, shopping and walking trails. Small pets and rentals permitted with park approval. Move in ready with quick possession possible.